This pendant was designed to symbolize the special connection between two people. It's available with a "High Polish" or "Satin Finish". 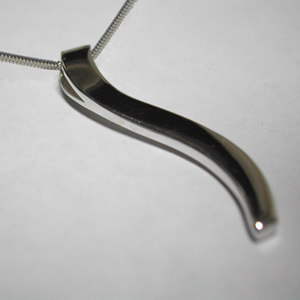 It comes with a sterling silver snake chain (16" or 18") to complement the design. 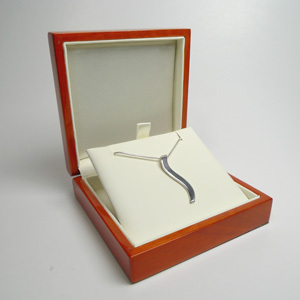 Customer Reviews for "Silver Ogee Pendant in a wood jewelry box"